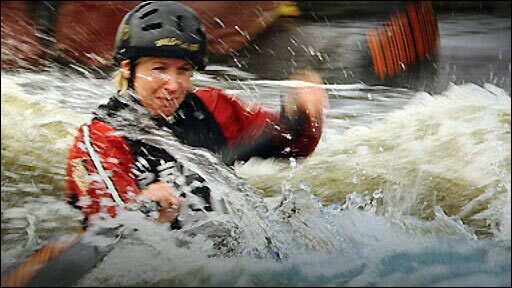 There are four events in canoe slalom, which will take place down the newly opened Lee Valley whitewater course in Hertfordshire, north of London. They are the men's K1 (single kayak), C1 (single canoe) and C2 (two people in the canoe), and the women's K1. Paddlers reach the Olympic Games by qualifying places on behalf of their countries at either the 2011 World Championships or continental championships (such as the European Championships). Continental championships in 2011 make up the remaining places in each event. Broadly speaking, the European Championships will add two more boats to each Olympic starting line-up, with one more each coming from America, Asia, Africa and Oceania. There is a maximum of one boat per country, per event, with C2 being the only exception: countries can enter two boats in this, but the second boat would have to come from athletes competing in the other events. Two invitational places, shared between sprint and slalom, are available at the discretion of world governing body the ICF, and will be announced in early July 2012. Qualifying places earned for London 2012 belong to the country, not the competitor. Countries can elect to send a different paddler to the Games to the one whose results earned the Olympic berth in question. The beginning of the qualification period is some way off, so top Britons like David Florence, Richard Hounslow, Campbell Walsh, Lizzie Neave and Fiona Pennie have yet to start their campaigns. When qualifying does begin, Britain would expect to fill its maximum host allocation of four boats, and to do so by competitive means rather than relying on the places already guaranteed to GB by virtue of hosting the Games. However, should it be necessary, Britain already has the right to enter a boat in each event. If that happens, the lowest-ranked countries to qualify in each event would have to give way for British athletes. Following on from the World Championships, the 2012 European Championships (in Augsburg, Germany, in May 2012) represent Britain's final chance at qualifying places based purely on results. 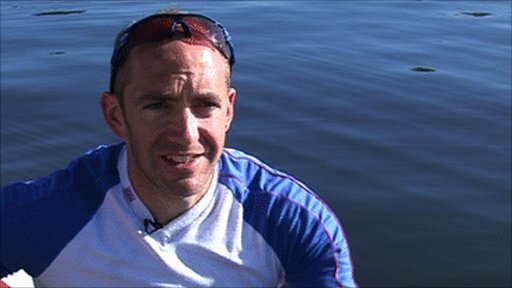 There are 12 medals on offer in the sprint canoeing events at London 2012 - eight for men and four for women. Both genders have K1, K2 and K4 events (kayaking with one, two, and four people in the boat), and the men have additional C1 and C2 events (canoes with one or two people on board). Sprint canoeing's Olympic events have changed since Beijing 2008, the main difference being a focus on races over shorter distances. Men: K1 1000m/200m, K2 1000m/200m, K4 1000m, C1 1000m/200m, C2 1000m. Women: K1 500m/200m, K2 500m, K4 500m. Each country may send up to 18 paddlers to the Games, limited to one per country per event. Importantly, athletes only qualify places on behalf of their country, not themselves. So a different athlete may end up being sent to the one who earned the Olympic berth in the first place. If an athletes qualifies in more than one event (or more than one distance in the same event, e.g. K1 1000m and 200m) they can compete in both, but this only counts as one athlete place for their country. The "extra" athlete place earned this way is returned for the next-best ranked country to pick up. Qualification begins with the 2011 World Championships, to be held in Szeged, Hungary, from 18-21 August. K4 qualification happens in its entirety here (40 places are awarded), with between eight and 14 places up for grabs in the other disciplines. Subsequent continental championships offer the second and final means of earning Olympic places through competition. As a general rule the European Championships offer two further places, and others in America, Africa, Asia and Oceania one each. Ed McKeever became K1 200m world champion in 2010. He, alongside Tim Brabants and Rachel Cawthorn, will be expected to lead a strong British challenge at London 2012. However, qualification does not begin until August 2011, so they cannot earn their places for some time yet. 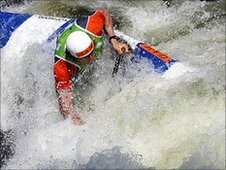 Unlike canoe slalom, the canoe sprint allocation for the host nation is relatively meagre - one place in the men's K1 1000m (Brabants' main event), men's C1 1000m and women's K1 500m. But it is unlikely the British team will need to rely on guaranteed host nation places. They will expect to earn a healthy number of British quota places in competition at the Worlds and an as-yet-unconfirmed European qualifying event to be held in May 2012.